The last thing we heard about Sheikh Ra’ed Salah was the differences he had with the British authorities. Lately the sheikh- A.K.A. the Sheikh of al Aqsa, and who takes pride in his Palestinian identity has fallen in the pit of Sectarianism siding with the enemies of Syria and calling on the Syrians to overthrow their president after achieving which they are to liberate the Golan and then Jerusalem. It seems -according to our Sheikh -that it is Bashshar al Assad -who has been in post for a decade only -who is standing as an obstacle to the liberation of Palestine and Jerusalem and once Bashshar removed, Palestine shall be free from the river to the sea, forgetting that the only Arab land that has been liberated ie the Lebanese south was so because of Syria’s support and protection of the Lebanese Resistance. The Sheikh as a matter of fact was not joking, he was serious in his call thinking that the Arab hired armed thugs at the payroll of the prince of Qatar and who busy in slaughtering families will rush to answer his call and will be the next morning heading to Jerusalem with the sheikh ready to receive them. There is no doubt that the sheikh during his last activities in Italy and on the Mavi Marmara and in England and whom we think is affiliated to many NGOs has been promoting himself as a prominent religious figure to be used like any useful NGOs in several schemes that serves Israel and the western establishment. We say farewell to the Sheikh of sectarianism and of NGOs who deceived us for many years by giving the impression that he was defending the Aqsa and Palestine while he was promoting his little self & NGOs. NGOs are one thing and liberating Aqsa and Palestine is another thing, but since he has made his choice we can bid farewell to the sectarian sheikh. is second from the right. After he received a kiss and a hug from the Lebanese minister of interior during one of his sits in down town Beirut as a sign of the policy of openness and tolerance adopted by the ministry , the notorious Sheikh Ahmad al Assir -who has mastered all kinds of knowledge- felt secure enough to appear on one Lebanese local TV and send threats to Sayyed Hassan Nasrullah ( May God preserve him) directly from the screen . The fake Sheikh said that he will do his best to deprive Sayyed Hassan from all kinds of sleep forgetting that the Sayyed of the Resistance is ever vigil protecting –day and night -the country and the people. The channel that hosted such pitiable drama is none other than Al Jadeed or the Lebanese New TV that used to be supportive of the Resistance but now is seriously drifting towards Gulf policy after Saudi al Waleed bin Talal of the ruling family and of Rotana channel signed several deals with it. Inspiration had fallen upon the Sheikh and the Lebanese channel at the same time in terms of big amounts of petro dollars enough for a religious man to forsake his religion for fitna and for a local channel to change its policy for direct affiliation . Well , the show of threats and slanders performed by the all knowing fake Sheikh must not have been a great success or was half a success to the taste of both the Sheikh and the channel . Sayyed Hassan who had more important things to do than to listen to the delirium of the ambitious mediocre Sheikh did not respond , it was as if no one had said anything . For this reason , and in order to add some pep and maybe some petro dollars to the story , the dark forces of sectarianism –active on the Lebanese ground –and to which our venerable Sheikh belongs- sent- the next day – a group of thugs to attack the channel and burn tires at its front doors. 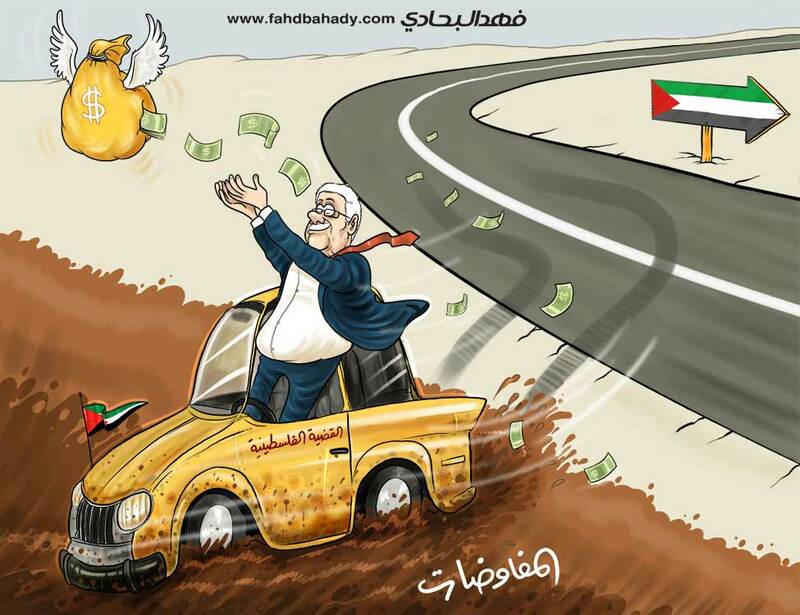 After all this the unfortunate Sheikh accused Hizbullah of attacking the local channel while the truth is- according to some –that the Sheikh himself has probably sent the thugs– with the consent of the channel -to give a touch of reality to the whole thing and to increase the expected retribution . Money can definitely work miracles for those who think otherwise ; but there is something that the venerable fake Sheikh is not aware of that neither he nor his masters nor his likes –who are on the payroll of some corrupt Saudi prince -can disturb anything or affect in any way the life of the leader of the Umma , be it his sleep or his waking ; all they can do is play their number, get paid and go home. God bless our leader, the hero of the Resistance ever vigil and awake whose integrity no one can touch or disturb . Egypt’s Islamist President-elect Mohammed Mursi took an informal oath of office on Friday in a speech to supporters in Cairo’s Tahrir Square, in a slap at the generals trying to limit his power. Paying tribute to Egypt’s Muslims and Christians alike, Mursi symbolically swore himself in as the country’s first elected civilian president. Mursi, who won a run-off election earlier this month, was received with applause by the tens of thousands of people gathered in the birthplace of the revolt that overthrew dictator Hosni Mubarak last year. “There is no power above people power,” the former Muslim Brotherhood figure declared to wild cheers from the crowd. “I was one of you and I still am, and I will continue to always be one of you. I came to you because I believe that you are the source of power and legitimacy above all sides,” he added. In a speech short on specific policies, Mursi promised to reassess the country’s foreign policies, warning that foreign powers would no longer be able to dominate the country, as the US was accused of doing during the era of Mubarak. But Mursi stopped short of specifically mentioning the 1979 Peace Treaty with Israel. Following the speech the crowd demanded an end to the military council, which has ruled Egypt since Mubarak’s fall. “Down, down with military rule,” they chanted. 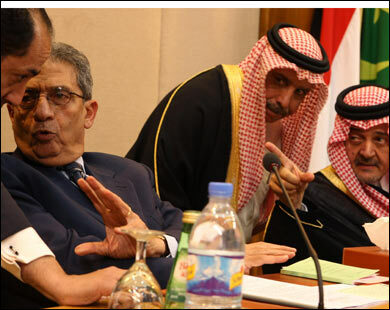 Critics accused the council of grabbing power after they passed a decree limiting Mursi’s influence over many areas of policy. Mursi will be unable to declare war without the military’s backing and cannot make any decisions concerning the armed forces. Meanwhile King Abdullah of Jordan confers with MishaalKing Abdullah II of Jordan conferred with Khaled Mishaal, the political bureau chairman of Hamas, and his accompanying delegation on Thursday on a number of regional developments. Warns Syria about defending its own borders – brazen act of war, crime against world peace ignored by feckless United Nations. After losing a fighter jet earlier this month while conducting a high-speed, low altitude invasion of Syria’s airspace, Turkey has now pledged to treat any Syrian operation along its borders as a military threat. “Turkey’s warning could tilt the dynamic along the border, which has become an incubator for Syrian antigovernment rebels who are seeking increased levels of international support. Turkey’s pledge to respond to aggression from Syrian forces could help the rebel Free Syrian Army by deterring Syrian forces from attacking—or else result in Turkish retaliation for cross-border attacks on rebels,” reported the Wall Street Journal in their article, “Turkey Warns of Retaliation Against Syria.” This encapsulates the brazen warping of logic applied by NATO aggressors as they seek to perpetuate the bloodbath and destabilization caused by their own proxy forces, primarily harbored, armed, and deployed from NATO member Turkey. Within Hersh’s report, not only is this army of fanatical terrorists described as being fully backed by the West in order to create a sectarian bloodbath to be used to achieve Western foreign policy objectives, but it was fully anticipated that this army would commit abhorrent atrocities, particularly against ethnic and religious minorities throughout the region. In particular former CIA agent Robert Baer in Lebanon warned about the fate of Christians located in the region. 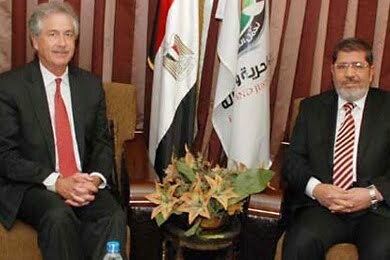 Also mentioned was the Syrian chapter of the Muslim Brotherhood, who by 2007 was already receiving significant backing from the West and Israel to destabilize Syria – despite its feigned anti-Western, anti-Israeli rhetoric. As clandestine military operations became larger in scale and more difficult for the complicit Western media to obfuscate, it was announced that hundreds of fighters as well as torrents of weapons and cash began flowing into Syria from NATO-armed terrorists in Libya. The Al Qaeda affiliated Libyan Islamic Fighting Group (LIFG) (a US State Department listed terrorist organization – #28) led by Abdul Hakim Belhaj, spearheaded efforts to bolster what is essentially a foreign terrorist operation in Syria beginning as early as November 2011, according to the London Telegraph. 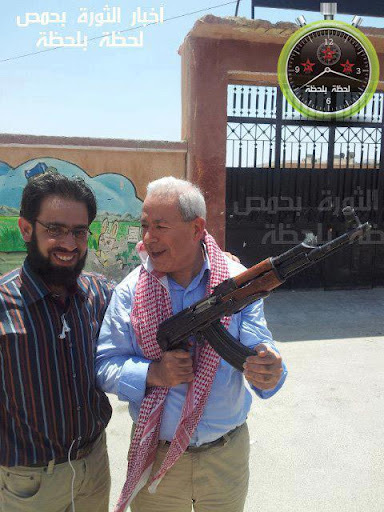 After Belhaj’s visit to the Turkish-Syrian border and his pledge to send cash, weapons, and fighters, up to 600 Libyan terrorists were reported to have made the journey to Syria to join the fighting. At least one ship flush with weapons from Libya was interdicted by Lebanon on its way to rebels’ hands in Syria. 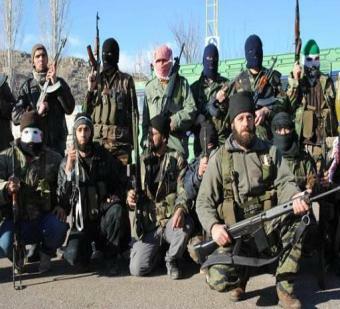 In addition to LIFG terrorists admittedly entwined with the so-called “Free Syrian Army” (FSA), more recent reports indicate that Iraqi terrorists have also joined their ranks. Reuters in their article, “Outgunned Syria rebels make shift to bombs,” admit that not only is the FSA conducting a terrorist bombing campaign against the people of Syria, but that it is facilitated by rebels who “fought with Al Qaeda elements in Iraq” and learned their bombing skills while attacking both sectarian Iraqi targets as well as Western troops. Ironic indeed, that the US in particular is backing entirely terrorist forces that thousands of Americans have shed their blood allegedly fighting in the “War on Terror.” It appears that Al Qaeda, admittedly a creation of the CIA in the 1980’s to draw in and fight Soviets in Afghanistan, is still patronized by the West and used as both a convenient casus belli as well as a terrorist proxy force against enemies of Western foreign policy. According to the New York Times, “a small number of C.I.A. officers are operating secretly in southern Turkey, helping allies decide which Syrian opposition fighters across the border will receive arms to fight the Syrian government, according to American officials and Arab intelligence officers.” While the Times article attempts but fails to allay fears that the FSA is in fact a terrorist front, the real significance of the article is that it confirms Turkey is serving as a willing conduit to harbor, arm, and deploy terrorist forces against neighboring Syria – a crime against world peace. The Gulf States, which provided the bulk of the “hijackers” allegedly behind the September 11, 2001 attacks on the World Trade Center and the Pentagon, are now the primary weapons and cash suppliers for the FSA, with Saudi Arabia leading the way – as Seymour Hersh reported they would be in 2007. These weapons, according to the UK Independent, are being transferred to terrorists via Turkey. It is also reported that the Syrian Muslim Brotherhood then distributes the weapons once they make their way into Syria – belying the narrative that the unrest is anything but an foreign-facilitated extremist terror campaign. Weiss can hardly be considered a reliable source, and is just as likely fabricating his entire narrative for the purpose of psychologically targeting Syria. However, Turkey has made no attempts to refute such claims, made more frequently and by an increasing number of sources. 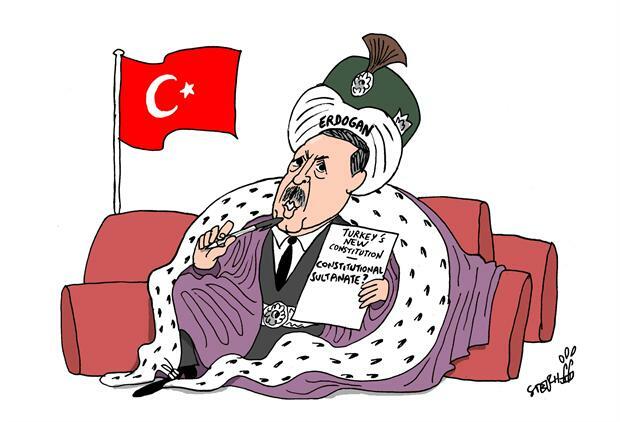 Turkey is admittedly serving as a conduit for weapons, and is most likely participating in a more direct role to train, arm, fund, and support terrorists operating along the Turkish-Syrian border. And despite all of this, the United Nations has remained mute over these transgressions, acts of war, and crimes against world peace. 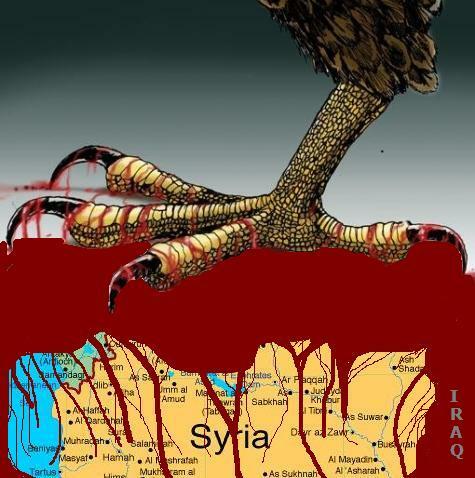 While it feigns outrage over the violence in Syria, it has failed categorically to identify the driving forces behind it – namely the unending torrent of weapons, cash, and foreign fighters flowing over Syria’s borders – supplied by NATO and its Gulf State partners. Turkey is clearly harboring a terrorist front within its borders and facilitating their violent-subversive actives within Syrian borders. While the US and NATO hypocritically use a similar narrative to justify cross-border raids into Pakistan, it is attempting to tie Syria’s hands from even operating up to and along its own border to stem very real, admitted terrorist networks maintained by NATO and their Gulf State partners. The goal of NATO is to create enough chaos in Syria, long enough, to shake the Syrian people’s faith in their government and their armed forces by dividing and destroying Syria’s national institutions. Just as in Libya, such divisions brought on by unwarranted panic will accelerate, not stem the violence. The stated goal by Western policy makers is to create divisions, doubt, and defections – and they are trying to achieve this through a combination of propaganda, economic sanctions, and overt Western-backed terrorism. They pursue this course of action because a full-scale military operation is untenable, as is the prospect of their terrorist proxies achieving any meaningful tactical victory. 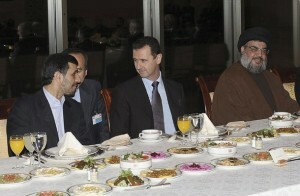 Syria, by remaining united and exhibiting perseverance will defeat NATO aggression. Libya proves that capitulation is not an option, with sectarian genocide the result, subjecting capitulators, defectors, and even NATO’s hand-picked proxies to post-Qaddafi violence and mayhem. There is no option but to continue resisting. A long American/Egyptian series has just started. These are historical moments, a new page has been turned. Mursi has been elected president of Egypt. No one can overlook the kind of maneuvers that preceded and accompanied the historical event in which the militaries were involved up to their neck. 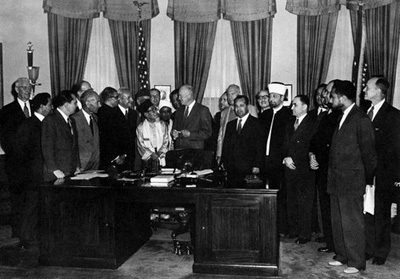 The preparation for the presidency of the Muslim Brotherhood had started long ago by the Military Council in coordination with USA in order to have the candidate – who did not desist from welcoming all US officials – elected and finally crowned. A long American/Egyptian series has just started. The Highest Military Council wanted to add a revolutionary flavor to Mursi by making him compete with Ahmad Shafiq the anti revolution candidate and – by dismissing – at the evening of the second round – the parliament where the Muslim brothers formed the majority. Along the same strategy they delayed the announcement of the winner to pressure people and make them feel that the so called candidate of the so called revolution was under threat. All this to let the revolutionaries and those who were after real change identify the designed future president as their representative. The escalation of the events in Gaza would fall within the same range, they meant to show that Mursi is a threat to Israel and that the Palestinian resistance in all its glory was supporting him. All this sounds more like a cheap American movie and proves that the world order is not trying his best in his manipulative maneuvers and is delivering productions of really low quality knowing that the people will take anything. Finally -after much patience and endurance and while everybody was holding one’s breath -the name of the winner was delivered. By the time he was announced he had become a revolutionary despite all. The first who took to streets – along with the Egyptians -were the Palestinians of Gaza who were celebrating not only the election of Mursi but -sadly enough -the relinquishment of the Palestinian Cause because, since the Syrian events and the attacks on Syria launched by the enemies of the cause and after HAMAS backed the armed rebellion, Syria has become the bosom of the Palestinian cause and its hearth and the place where the future of such a cause is being questioned and challenged. What the Palestinians of Gaza had relinquished- in fact- was the fake cause, the unreal one that has left the Palestinian bosom to rest somewhere else in the haven of the wide sectarian Islam where it will be tended to by sectarians like Erdugan and his like. There the cause will definitely feel estranged, it will be drowned in negotiations and elections and irrelevant talk, it will be lost in a sea of perdition. Who could have predicted this? That the Palestinian leadership will no more be fit to cater to Palestine or to fight for Palestine or to liberate Palestine? This unfitness is due to many reasons mainly to the fall of HAMAS in the sectarian pit set to it by the World Order that caused it to give priority to sectarianism over justice for Palestine and Palestinians and made it take this inexplicable stand against Syria and the pro Resistance Syrian regime. What happened was also in order to give expression – not only to the local cause of usurped Palestine as it has been previously called- but to the cause of the usurped Arab lands in general that did not fare much better. The Palestinian cause will only be safe now in the hands of the armed Resistance be it of Hizbullah, Syria, Iran or Palestinians and other freedom fighters, and all those will be its natural extension and natural environment and the bosom from where it could grow and expand, because these are the ones who have proved- up till now – their capacity to embrace the depth and the universality of the cause and defend it and become one with it shunning everything that is divisive and harming; these are the deserving ones, and Palestine shall be free despite sectarianism be it Arab or Palestinian and the Arab land shall be free.